This week we’ve been making paper penguins. Our reasoning isn’t quite as tenuous as you would imagine; our company mascot is a penguin, we had an hour to kill, and we needed something to put on the Refresh Cartridges blog. Of course, you never know where a journey to create a penguin template will take you and while looking for a free vector image editing program, Matt fortunately stumbled across the website www.aviary.com. Aviary is essentially a free online design suite which consists of many powerful tools ranging from a simple audio editor to a variety of fairly sophisticated image/vector editing software. The applications are all used online rather than being downloaded and installed on to your hard drive. This offers a number of advantages, most notably the ability to ‘dip in’ quickly and easily, without having to install, and the fact that everything is stored on a central server means you will always be using the most up to date version of the software. Phoenix – A free image editor that handles pretty much anything from basic image retouching to complex effects. Features include a wide selection of tools, support of layers and 72 helpful tutorials to get you up and running. Toucan – A colour editor which is ideally used in conjunction with other creations tools in the suite. Toucan can be used to pick and analyse colour by either colour association rules or by grabbing colours from within existing images. Peacock – Described by its creators as a ‘visual laboratory’, Peacock is used to generate a whole host of effects and image manipulation tools to make some quite stunning and abstract artwork. Raven – This tool is used for generating vector artwork, which is used by artists to create images that are fully scalable and suitable for applications such as logos and t-shirt designs. The intricacies of vector artwork are too deep to explain in one sentence but the bottom line is that rather than every pixel of an image being assigned a colour value, a vector image is saved using descriptions of the lines, curves and shapes making up the image. This means that if the image has to be radically resized the descriptions of those shapes are just changed proportionally resulting in no loss of image quality. Due to the restrictions of creating drawings using just shapes and lines, vector images are typically quite simple. 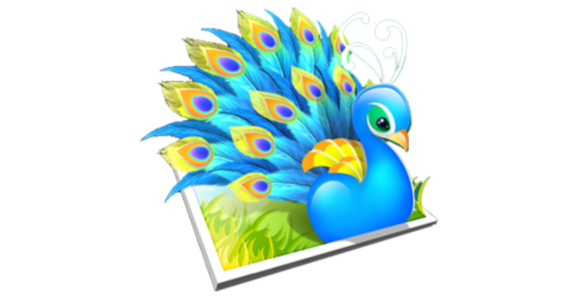 Falcon – This utility is used to capture images and web pages quickly and easily in order to crop, resize and ultimately save them for use in another package. A similar utility ‘Talon’ on the site allows you to do the same with an complete computer screenshot. Myna – Use Myna to edit and remix music tracks and audio clips. The application can be used to trim, loop, stretch and reverse audio clips along with adding fade ins, fade outs and other effects such as pitch change, delay and reverb. Each of these tools is free to use and comes with at least one tutorial to help newcomers get to grips with how to use the software and what to use each program for. Each program is free to use and advertising is nonexistent, however users do have the option for upgrading for just over £15 a year. By paying for a subscription you are given a number of additional features such as unlimited storage of your creations online, the ability to add personalised watermarks to your creations and access to the advanced premium tutorials and forums.